Israeli soldiers attacked, Friday, the weekly procession against the Annexation Wall and Colonies, in Kufur Qaddoum town, east of Qalqilia, in the northern part of the occupied West Bank, and injured eleven Palestinians, including a child. Morad Eshteiwy, the media coordinator of the Popular Committee against the Wall and Colonies in Kufur Qaddoum, said the soldiers used excessive force against the protesters, and fired many live rounds, gas bombs, concussion grenades and rubber-coated steel bullets. Eshteiwy added that many at least eleven Palestinians, including a child, identified as Khalifa Riyad Eshteiwy, 11, were injured and received the needed treatment, following clashes that took place after dozens of soldiers invaded the town, and assaulted the weekly procession. It is worth mentioning that the soldiers installed, during early morning hours, a military roadblock at the main entrance of the town, searched dozens of cars, examined the ID cards of scores of Palestinians, in addition to photographing license plates and ID cards. Israeli Occupation Forces (IOF) raided Saturday evening al-Bireh town in Ramallah and broke into Sateh Merhaba neighborhood and al-Quds Street in the town amid shooting of gunfire and tear gas grenades. 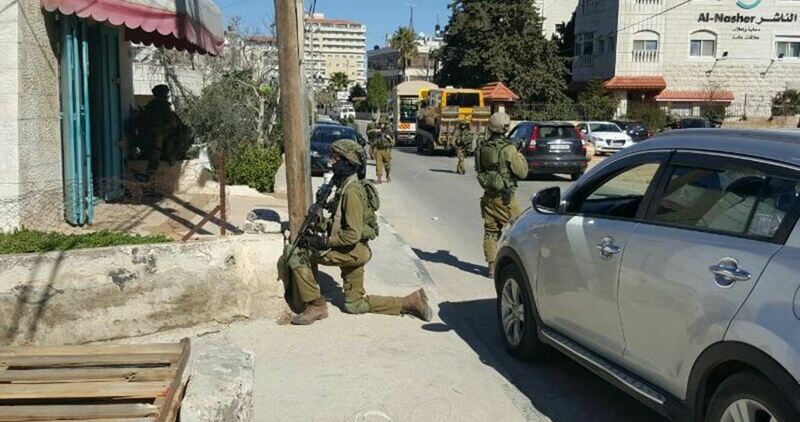 Eyewitnesses told the PIC reporter that several Israeli patrols were deployed in the area. The inhabitants confronted, by stone-throwing, the IOF soldiers who opened fire and unleashed tear gas canisters during the incursion. Clashes erupted as a result leading to no casulaties. Secretary-General of the Syrian Coalition Nazir Hakim said that the Coalition’s current strategy is aimed at enabling the Syrian Interim Government (SIG) to implement the services projects and public policies that were developed in preparation for the transitional phase that will follow the political solution without Bashar al-Assad. In a meeting with Australis’s Ambassador to Turkey, Marc Innes-Brown, Hakim called on all friends of the Syrian people, including Australia, to support the Geneva negotiations to reach a political solution in which Bashar al-Assad and his clique do not have any role to play. Hakim stressed that the Coalition is keen to provide full support for the opposition’s High Negotiations Committee (HNC) as well as its delegation and logistics team in Geneva to help them succeed in their tasks and unify the Syrian opposition groups into one negotiating delegation. For his part, the Australian ambassador stressed his country’s support for the rights of the Syrian people and the efforts to reach a comprehensive political solution through the Geneva negotiations. Innes-Brown stressed that the Assad regime has committed crimes against its people, especially with the use of chemical weapons. All international investigations proved the regime’s responsibility for the use of chemical weapons against Syrian civilians. Hakim called for providing support through SIG and the legitimate local councils to ensure that support ends up in the liberated areas, not in the areas under the control of the Assad regime or terrorist groups. SIG’s development of many services projects would build up confidence among the Syrians in the ability of SIG’s staff to provide services to the civilian population, Hakim added. He stressed that this will restrict the ability of terrorist groups, including Al-Qaeda, to influence civilians through the reduction of the need for the services being provided by these groups. The Balfour Declaration, issued on 2 November 1917, was a short document which changed the course of history. It committed the British government to support the establishment of a national home for the Jewish people in Palestine, provided nothing was done “to prejudice the civil and religious rights of existing non-Jewish communities in Palestine”. At that time, the Jews constituted 10 percent of the population of Palestine: 60,000 Jews and just over 600,000 Arabs. Yet Britain chose to recognise the right to national self-determination of the tiny minority and to flatly deny it to the undisputed majority. In the words of the Jewish writer Arthur Koestler: here was one nation, promising another nation, the land of a third nation. Some contemporary accounts presented the Balfour Declaration as a selfless gesture and even as a noble Christian project to help an ancient people reconstitute its national life in its ancestral homeland. These accounts spring from the biblical romanticism of some British officials and their sympathy for the plight of the Jews of Eastern Europe. Subsequent scholarship suggests that the main motive for issuing the declaration was cold calculation of British imperial interests. It was believed, wrongly as it turned out, that Britain’s interests would best be served by an alliance with the Zionist movement in Palestine. Palestine controlled the British Empire’s lines of communications to the Far East. France, Britain’s main ally in the war against Germany, was also a rival for influence in Palestine. Under the secret Sykes-Picot agreement of 1916, the two countries divided up the Middle East into zones of influence but compromised on an international administration for Palestine. By helping the Zionists to take over Palestine, the British hoped to secure a dominant presence in the area and to exclude the French. The French called the British “Perfidious Albion”. The Balfour Declaration was a prime example of this perennial perfidy. The main victims of the Balfour Declaration, however, were not the French, but the Arabs of Palestine. The declaration was a classic European colonial document cobbled together by a small group of men with a thoroughly colonial mind-set. It was formulated in total disregard for the political rights of the majority of the indigenous population. Foreign secretary Arthur Balfour made no effort to disguise his contempt for the Arabs. “Zionism, be it right or wrong, good or bad,” he wrote in 1922, was “rooted in age-long traditions, in present needs and future hopes of far profounder import than the desires and prejudices of 700,000 Arabs who now inhabit that ancient land.” There could hardly be a more striking illustration of what Edward Said called “the moral epistemology of imperialism”. Balfour was just a languid English aristocrat. The real driving force behind the declaration was not Balfour, but David Lloyd George, the fiery Welsh radical who headed the government. In foreign policy, Lloyd George was an old-fashioned British imperialist and a land-grabber. His support for Zionism, however, was based not on a sound assessment of British interests but on ignorance: he admired the Jews but he also feared them and he failed to grasp that the Zionists were a minority within a minority. In aligning Britain with the Zionist movement, he acted in the mistaken – and antisemitic – view that the Jews were extraordinarily influential and that they made the wheels of history turn. In fact, the Jewish people were helpless, with no influence other than via the myth of clandestine power. In short, Britain’s wartime support for Zionism was rooted in an arrogant colonial attitude towards the Arabs and a misconception about the global power of the Jews. Britain compounded its original mistake by writing the terms of the Balfour Declaration into the League of Nations’ mandate for Palestine. What had been a mere promise by one great power to a minor ally now became a legally binding international instrument. The real question to be asked is: did this immoral policy yield for Britain any concrete rewards? To be more precise, Britain as the mandatory power assumed a dual obligation: to help the Jews build a national home in the whole of mandatory Palestine and, at the same time, to protect the civil and religious rights of the Arabs. Britain fulfilled the first obligation, but failed to honour even this paltry second one. That Britain was guilty of duplicity and double-dealing is hardly open to question. So the real question to be asked is: did this immoral policy yield for Britain any concrete rewards? My own answer to this question is that it did not. The Balfour Declaration was a millstone round Britain’s neck from the beginning of the mandate until it reached its inglorious end in May 1948. The Zionists claimed that everything Britain did for them in the inter-war period fell short of the original promise. They argued that the declaration implied support of an independent Jewish state; British officials retorted that they had only promised a national home which is not the same thing as a state. In the meantime, Britain incurred the ill-will not only of the Palestinians, but of millions of Arabs and Muslims round the world. Elizabeth Monroe, in her classic book Britain’s Moment in the Middle East, delivers a balanced judgement on this episode. “Measured by British interests alone,” writes Monroe, “it is one of the greatest mistakes in our imperial history.” With the benefit of hindsight, the Balfour Declaration would appear to be a colossal strategic blunder. The end result was to enable the Zionist takeover of Palestine, a takeover that continues to this day in the form of illegal but relentless settlement expansion on the West Bank at the expense of the Palestinians. Given this historical record, one might expect British leaders to hang their head in shame and disavow this toxic legacy of their colonialist past. But the last three British prime ministers of both main political parties – Tony Blair, Gordon Brown, and David Cameron – have all displayed staunch support for Israel and utter indifference to Palestinian rights. Theresa May, the current prime minister, is one of the most pro-Israel leaders in Europe. In a speech to the Conservative Friends of Israel in December 2016, which includes over 80 percent of Tory MPs and the entire cabinet, she hailed Israel as “a remarkable country” and “a beacon of tolerance”. Rubbing salt in Palestinian wounds, she called the Balfour Declaration “one of the most important letters in history” and she promised to celebrate it on the anniversary. The Balfour Declaration is an historic statement for which HMG does not intend to apologise. We are proud of our role in creating the state of Israel. The declaration was written in a world of competing imperial powers, in the midst of the First World War and in the twilight of the Ottoman Empire. In that context, establishing a homeland for the Jewish people in the land to which they had such strong historical and religious ties was the right and moral thing to do, particularly against the background of centuries of persecution. Much has happened since 1917. We recognise that the declaration should have called for the protection of political rights of the non-Jewish communities in Palestine, particularly their right to self-determination. However, the important thing now is to look forward and establish security and justice for both Israelis and Palestinians through a lasting peace. It would appear that, despite the passage of a century, the colonial mind-set of the British political elite is still deeply entrenched. Contemporary British leaders, like their World War One predecessors, still refer to the Arabs as “the non-Jewish communities in Palestine”. True, the government acknowledges that the declaration should have protected the political rights of the Arabs of Palestine. But it fails to acknowledge Israel’s stubborn denial of the Palestinian right to national self-determination and Britain’s own complicity in this ongoing denial. Britain’s rulers, like the Bourbon kings of France, have apparently learnt nothing and forgotten nothing in the intervening hundred years. 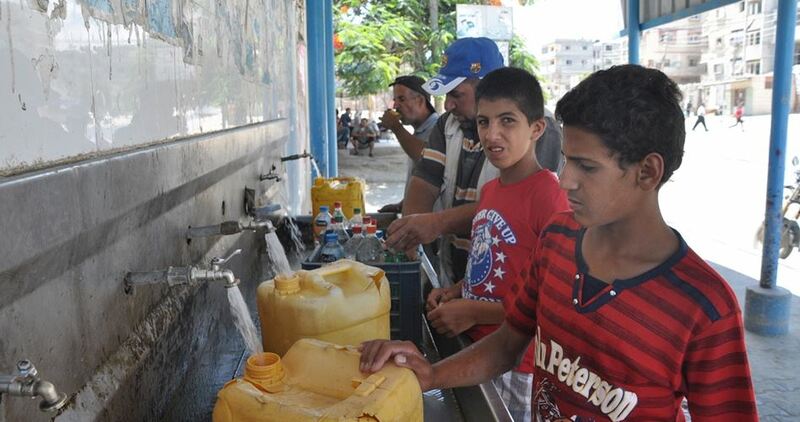 The Independent British newspaper said that “An incredible 96 per cent of Gaza’s water supply is unsafe to drink, as its only aquifer is contaminated by sewage and the coastal enclave’s three desalination plants are in effect offline”. In a report on Saturday, the newspaper said that “The Strip’s burgeoning water and electricity crises have taken their toll, and three years on since Israel’s war on Gaza, it’s clear things in the Strip are getting worse, rather than better”. “July report from the UN found that 10 years into the siege, the Gaza Strip is now “unlivable”, and de-developing quicker than expected”, the report stated. It added that when the Israeli aggression on Gaza ended on 26 August 2014 – after the deaths of 2,200 Palestinians, Israel vowed to change course on Gaza. “Yet nothing has come of the promises to increase travel permits to let Palestinians out of the “open-air prison”; fewer people are granted permission to leave the Strip than in 2014, even for medical reasons. The crossing into Egypt also remains closed”, the report highlighted. Only a third of the some 11,000 homes destroyed in the 2014 war have been rebuilt, the Norwegian Refugee Council estimated recently. The economic knock-on effects of two wars and ten years of Israeli sea and land blockades have led the Gazan economy to effectively collapse, unemployment is sky-high at 41 per cent, rising to 60 per cent for the young, and the threat of Israeli forces air strikes is constant. The power is often only on for three hours a day. Hospitals have warned the blackouts endanger patients’ lives, and since many households rely on electric pumps for their water, millions have difficulty washing, cooking and doing laundry, the report concluded. 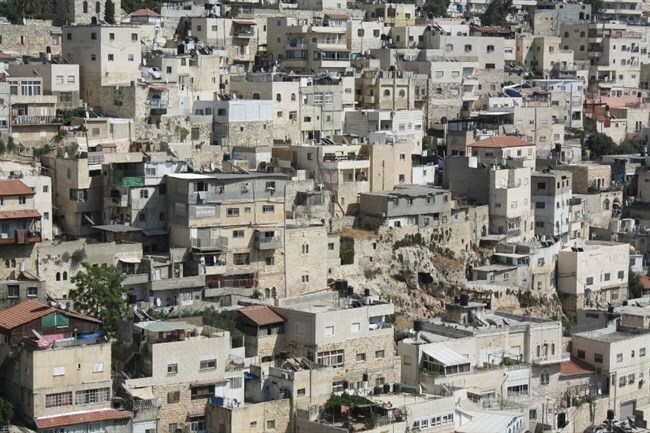 JERUSALEM (Ma’an) — Israeli municipal authorities delivered summons to several Palestinian homeowners in the Silwan neighborhood of occupied East Jerusalem on Friday, requesting that the families pick up demolition notices issued on their properties from Israeli authorities. According to locals, the families were summoned to pick up the demolition notices from Israeli authorities, who have said that their homes were built without Israeli-issued building permits. Locals identified one of the families as the al-Abbasi family in Ein al-Luza area of Silwan. However, the other families were not identified. A spokesperson for the Jerusalem municipality was not immediately available to comment. When delivering demolition notices, Israeli authorities either enter Palestinian neighborhoods and deliver the notices by hand to the soon-to-be demolished homes, or notify the Palestinian families via telephone to pick up the notices from Israeli authorities. On Tuesday, Israeli forces demolished a home in Silwan two times within a week. The Abu Sneina family home was demolished on August 15. With the help of Jerusalemite activists, the family rebuilt a temporary home made of tin sheets, which Israeli forces came to destroy several days later. Earlier this month, Palestinians in Silwan expressed worry when Israeli forces entered the neighborhood and took pictures of several properties. Residents had feared that Israel was planning to issue demolition orders on the neighborhood. According to UN documentation, as of Aug. 14, 103 Palestinian-owned structures were demolished by Israel in East Jerusalem since the beginning of the year, displacing at least 171 Palestinians. A total of 190 Palestinian buildings were demolished in East Jerusalem in 2016. The Jerusalem municipality has claimed that compared to the Jewish population, it receives a disproportionately low number of permit applications from Palestinian communities, which see high approval rates. However, testimonies collected by the Applied Research Institute – Jerusalem (ARIJ) found that the procedures to apply for Israeli-issued building permits were lengthy, sometimes lasting for several years, while the application costs could reach up to 300,000 shekels ($79,180). As four out of five of Palestinians in East Jerusalem live under the poverty line, applying for costly building permits is nearly impossible, leading to only seven percent of Jerusalem building permits being allocated to Palestinian neighborhoods. GAZA CITY (Ma’an) — Israeli forces deployed near the borderlines of the Gaza Strip on Friday afternoon opened live ammunition and shot tear gas canisters at Palestinians protesting near Israel’s border fence in several areas of Gaza, causing scores of Palestinians to suffer tear gas inhalation, while another was injured after being struck by tear gas canisters. 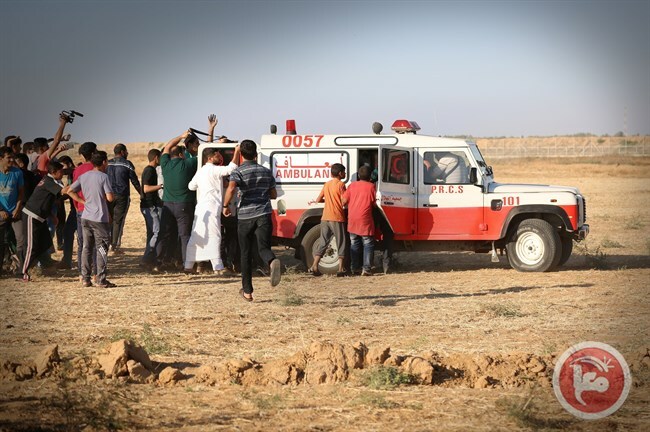 Locals told Ma’an that Israeli forces shot live ammunition and tear gas canisters at Palestinian protesters who had approached the border fence between Gaza and Israel in the northern Gaza Strip, east of the town of Jabaliya. Israeli forces were deployed at nearby military towers and in army tanks near the border. According to locals, a Palestinian “youth” — however, they did not specify the exact age — was injured during the clashes after he was hit with a tear gas canister in the chest and leg. He was transferred to the Indonesian Hospital for treatment in Beit Lahiya, where his injuries were reported as light. Many other Palestinians suffered from tear gas inhalation during the clashes, locals said. Clashes also erupted near Israel’s Nahal Oz military site in eastern Shujaaiya neighborhood in eastern Gaza City and east of al-Bureij refugee camp in central Gaza. Locals told Ma’an that the soldiers opened live ammunition and shot tear gas at the Palestinians, causing scores to suffer from tear gas inhalation. An Israeli army spokesperson told Ma’an she would look into reports on the clashes. Clashes typically erupt in the “buffer zone” along the Israeli-Gaza border on Fridays, between Palestinian youth who throw stones and Israeli forces who fire live ammunition, rubber-coated steel bullets, and tear gas, often resulting in serious, sometimes fatal, injuries. At least four Palestinians have been killed by Israeli forces this year during clashes near the border fence in Gaza, including a 16-year-old Palestinian who was killed last month. 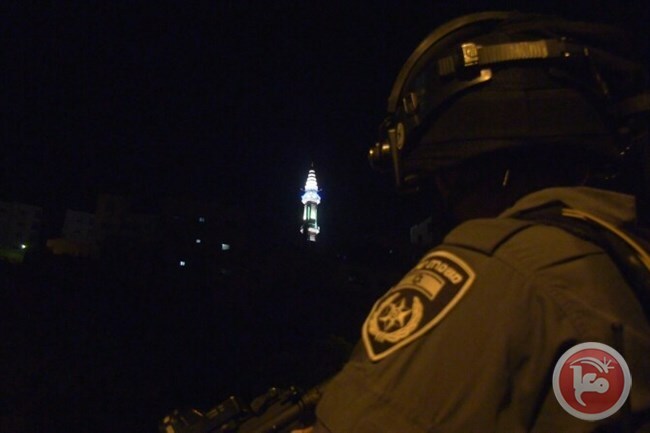 BETHLEHEM (Ma’an) — Israeli forces detained three Palestinians overnight between Friday and Saturday in the occupied West Bank and East Jerusalem, according to Palestinian sources. The Jaber family, residents of the Shufat refugee camp in East Jerusalem, told Ma’an that Israeli forces raided their home in the predawn hours of Saturday morning and detained brothers Taha, 25, and Muhammad, 23, and summoned their brother Mahmoud, 21, for interrogation. The family added that Israeli forces assaulted family members and destroyed furniture during the search. An Israeli police spokesperson was not immediately available for comment on the detention raid in Shufat. 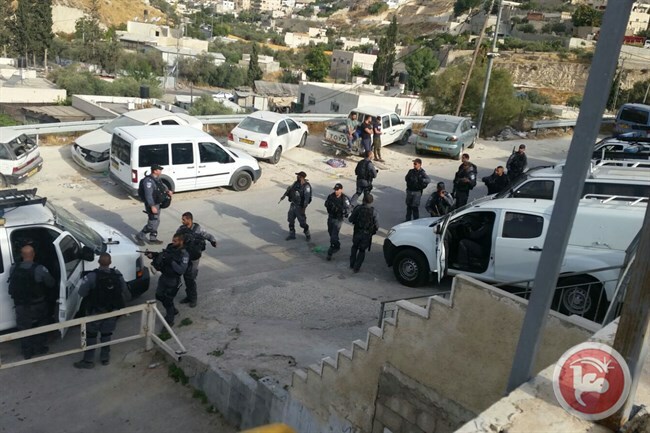 In the southern West Bank district of Bethlehem, Israeli forces raided the Wadi Abu Fariha area in eastern Bethlehem where they searched several houses, including the home of former prisoners Maher Ubayyat, Tareq Ubayyat and Ghaleb Ubayyat. Israeli forces delivered interrogation summons to Hamadeh Omar Ubayyat. No detentions were reported in the area. Locals told Ma’an that overnight Israeli forces detained Yousif Elias Sarahneh, 22, from the Bethlehem-area al-Duheisha refugee camp while he was crossing the Container checkpoint in the northern Bethlehem district. 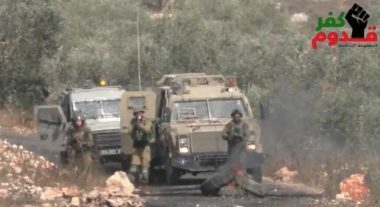 An Israeli army spokesperson told Ma’an that no detentions were made overnight in the West Bank.Israeli raids in Palestinian towns, villages, and refugee camps are a daily occurrence in the West Bank and East Jerusalem, with a biweekly average of 85 search and detention raids carried thus far in 2017, according to UN documentation. According to Palestinian prisoner’s rights group Addameer, there are some 6,128 Palestinians being held in Israeli prisons, including at least 320 minors and 62 women and girls. CAIRO — Egypt’s Supreme Judicial Council (SJC) decision No. 1308 published on Aug. 14 to ban media coverage of all trials via audiovisual devices has stirred much controversy in human rights, media and judicial circles. Some see it as a means to prevent citizens from knowing what is happening in trials and a major restriction of freedom against journalists covering Egypt’s judicial issues. In the first implementation of this decision, just one day after its issuance, the head of the Criminal Court of Cairo, Judge Hassan Farid, banned photojournalists from attending the hearing of 20 defendants in case No. 239 of 2015. They are accused of joining a terrorist cell in Marsa Matrouh that is affiliated with the Islamic State in Libya and with slaughtering 21 Egyptians in Libya. Human rights lawyer Mukhtar Munir described the decision as totally unfair and told Al-Monitor in a telephone interview that it contradicts the established principle of publicity of court hearings. “The State Council’s Supreme Administrative Court issued a judgment in 2010, conferring to itself, and not to the Supreme Judicial Council, the power to ban TV broadcasting of hearings and trials. The ban decision violates and invalidates this judgment, stripping it of its binding force,” he said. Munir, who works for the nongovernmental organization Association for Freedom of Thought and Expression, said that citizens have the right to attend trials and hearings. “But in reality, all proceedings of public opinion cases are held at police headquarters, which citizens cannot enter without a special permit,” he added. Indeed, all public opinion and terrorism-related trials are held at police headquarters, while other trials are held in ordinary courts allowing the entry of the public but banning audiovisual devices. Munir noted that Article 268 of Egypt’s Code of Criminal Procedure states that hearings shall be public unless in exceptional cases determined by the court itself. “The Supreme Judicial Council cannot issue an absolute ban,” he said. On Aug. 13, SJC submitted a complaint to the public prosecutor against Egyptian websites Al-Mesryoon and Al-Omah, accusing them of publishing false news concerning the judiciary, including the publication of remuneration of judges. Munir said that Egypt’s current regime sees any large government apparatus as a sovereign authority, and therefore such authorities may not be put under media spotlights as this would threaten Egypt’s national security. “How will the publication of the salaries of judges affect national security?” he wondered, noting that this type of news has nothing to do with national security. Meanwhile, a judge in the Egyptian Court of Appeal told Al-Monitor on condition of anonymity that the decision does not conflict with the principle of public hearings. “Allowing journalists to attend hearings is in line with the principle of publicity of trials and hearings, and banning TV broadcasts and photography does not negate this principle,” he said. He said that the ban is limited to audiovisual coverage and that journalists are given free access without their cameras, adding that the decision came after some media outlets published false information regarding judges’ remunerations. This undermines the standing of judges and the judiciary as a whole. A number of judicial authorities had issued several decisions banning judges from giving statements about judicial cases to media outlets and preventing them from posting about them on social media. Indeed, Public Prosecutor Nabil Sadek had banned all public prosecution members on May 10, 2016, from expressing political opinions on social media or making statements to the media. The Administrative Public Prosecution also issued instructions Aug. 16 to its members not to speak to the media during the course of their inspections and to refrain from giving press statements in general. In addition to the general freedom restrictions preventing them from having access to information, Egyptian journalists covering judicial issues face continued threats of prosecution. According to Wafa news agency, some 300 Israelis, including Israel’s Minister of Agriculture Uri Ariel and Israeli lawmakers, attended the ceremony in Silwan, which was organized by settler group Ateret Cohanim. The group has been behind several Palestinian evictions in occupied East Jerusalem, including in the Old City. Ateret Cohanim — which receives tax-deductible donations from the United States through their financial intermediary American Friends of Ateret Cohanim — focuses on “Judaizing” East Jerusalem through a Jewish reclamation project working to expand illegal settlements and facilitate Jewish takeover of Palestinian properties across the Green Line into Palestinian territory. PA spokesperson Yousif al-Mahmoud said that the move at the synagogue was a “new act of Israeli aggression against Jerusalem,” and represented a “grave violation” to the Islamic character of the city, Wafa reported. According to the international community, Silwan is part of occupied Palestinian territory, despite Israel’s de facto annexation of the territory. 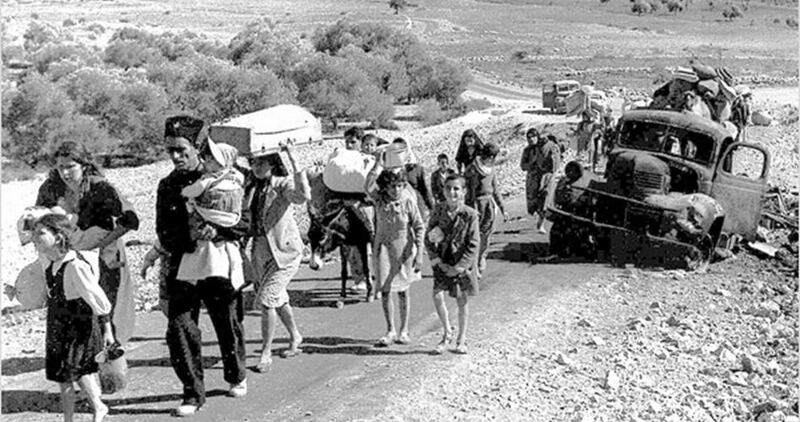 Thus, the transfer of the Israeli population onto Palestinian territory is considered illegal under the Fourth Geneva Convention, while the UN has said Israel’s settlements could amount to a war crime.